The primary purpose of Manufacturing Partners is to bring work to American manufacturers by helping to restore our economy. We believe in the importance of standing behind the American companies that make good products, maximizing U.S. employment, and help manufacturers earn the loyalty of their workers and the communities of which they’re a part. 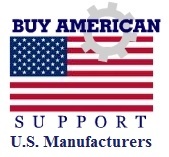 By linking to MFGpartners.net you’ll be showing your support for American manufacturers and in return help us in our efforts to sustain and create jobs in the manufacturing sector of the United States. Description: The American Manufacturers Trade Association connecting industrial buyers and suppliers nationwide and worldwide. Manufacturing Partners – The American Manufacturers Trade Association connecting industrial buyers and suppliers nationwide and worldwide.